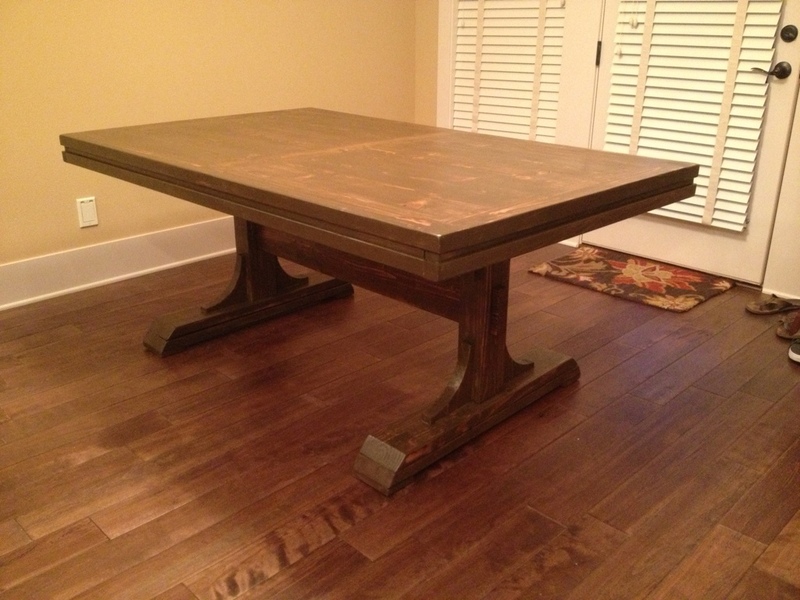 This is the table I built and finally finished last weekend. I absolutely love it. 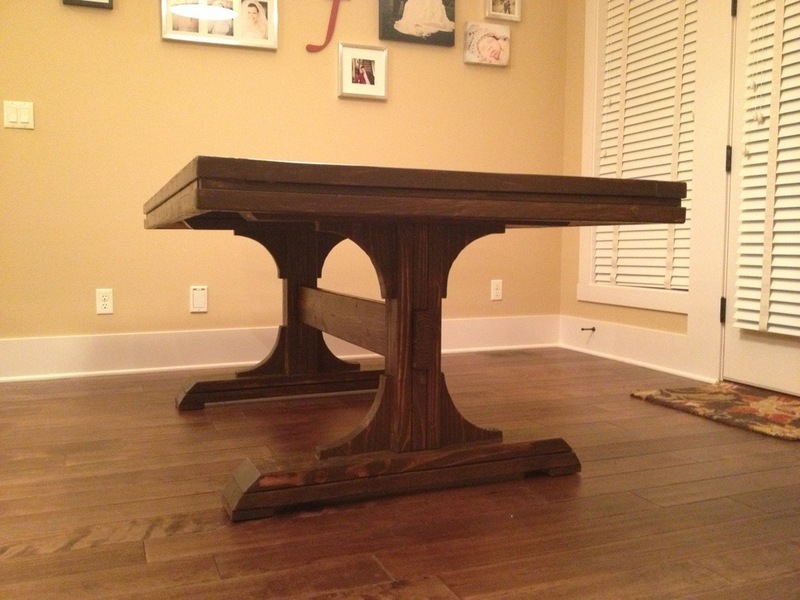 I modified some plans I found on Shanty-2-Chic for a triple pedestal farmhouse table to fit our space. It couldn’t have turned out better. I can’t wait to build a matching bench and then plan to have chairs on the other side. Wow! 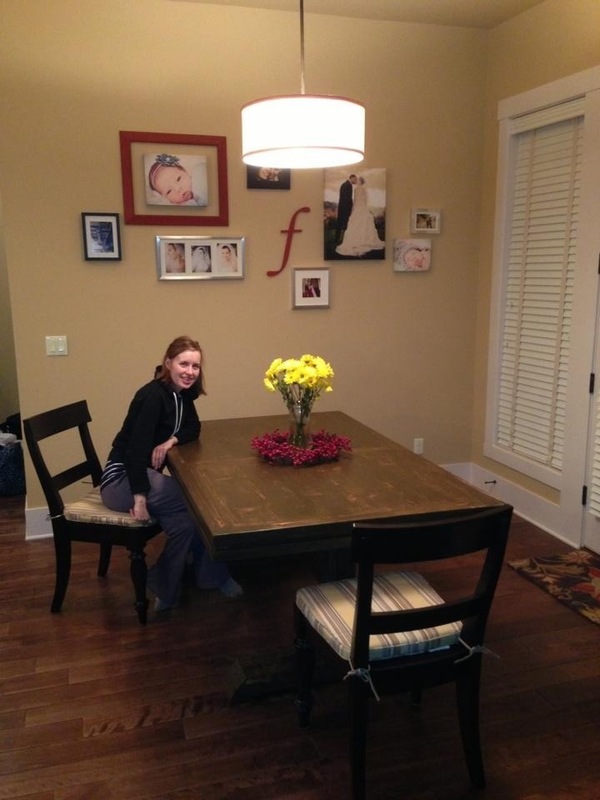 I am insanely jealous of your table, and of your ability to create it all by yourself. It’s beautiful!